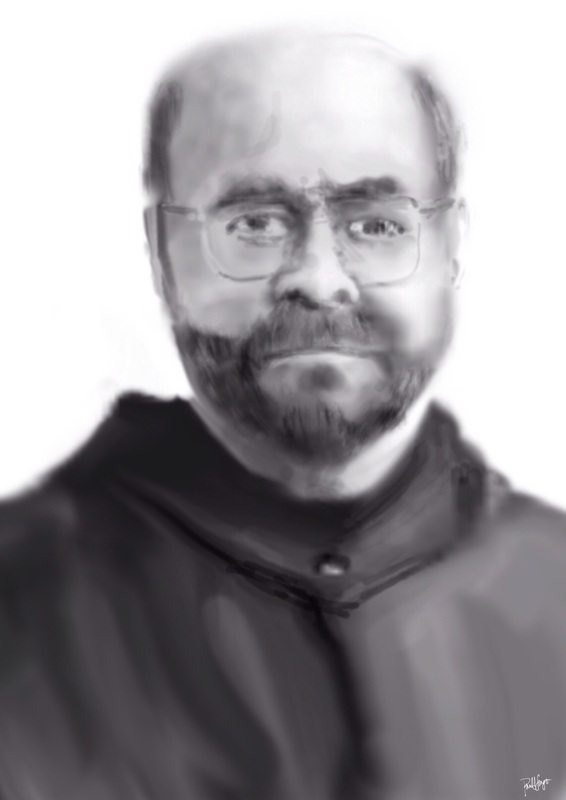 On June 2, 2015 a friend and former confrère of mine, Fr. Cuthbert A. Jack, O.S.B., was laid to rest. You can read his obituary here. After his funeral the monks of St. Vincent Archabbey most certainly entoned the Benedictine Ultima, a rendition of which, accompanied by none other than Yo-Yo Ma, can be seen and heard by clicking on this YouTube link. 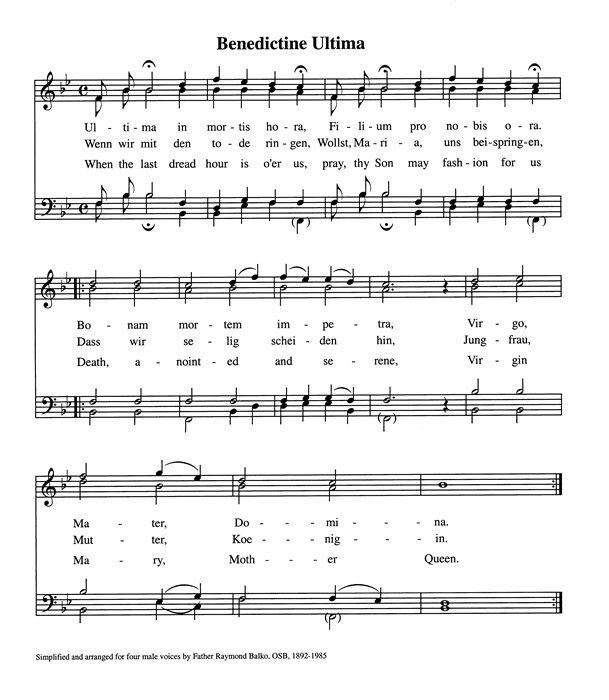 See the Benedictine Ultima lyrics and sheet music below. (Revised 6/12/15) Thirty five years ago Cuthbert and I – along with something like 13 others – were in the same, unusually large novice class. From that novice class only two remain, one at the abbey and the other at a parish not too far from the abbey. My condolences to them. Astonishingly, Cuthbert was the fifth to die from that group of novices. The others are off doing one thing or another. Read Cuthbert’s obituary; multiply it by 100. Why? He was a character for Christ’s sake! See the three YouTube videos – inserted below – of Cuthbert making bread. This entry was posted in Digital Artwork, iPad Art, music, Sketches, Video and tagged bakingbread, bread, makingbread, monks, obituary, Procreate, Solemn Vows, Yo-Yo Ma by portfoliolongo.com. Bookmark the permalink. Sorry for your loss. Interesting to read your friends obituary, and a bit more about your life and about Saint Vincent Archabbey. I really liked the your portrait drawing of your friend. I tried to listen to the You Tube clip…Yo-Yo Ma, no less! However could only hear a bit, because of a our slow internet! Thankfully, it’s not always like that.. I had to smile at your “Solemn Vows” cartoon; a sense of humour certainly helps at sad times; actually, at all times. 🙂 Thank you for sharing all of this. All the best, Janette.